I read this article and found it very interesting, thought it might be something for you. The article is called Budget 2015: A Layer of Jam For Individual Empowerment and is located at https://archive.indiaspend.com/cover-story/budget-2015-a-layer-of-jam-for-individual-empowerment-61955. One big failure of the Indian state has been the ability to empower the Indian citizen by creating a financial identity. A financial identity in some ways sits on top of all identities. You exist if you have a bank account, or not. Conversely, the path to a bank account has been strewn with roadblocks. 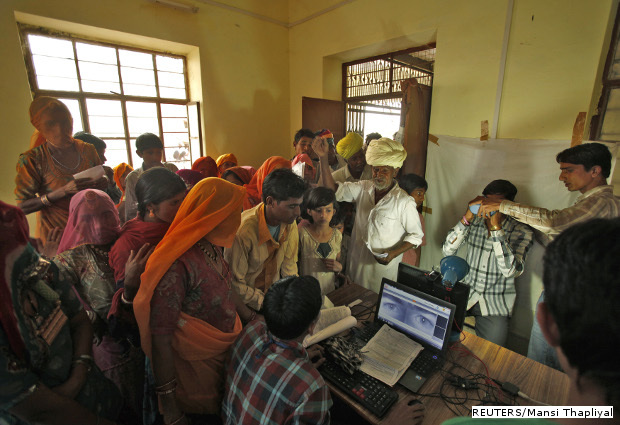 Even now, despite all efforts, opening a bank account in India can be a nightmare. The creation of the Aadhaar project with the objective of providing every Indian a unique identity that was not linked to a benefit or a subsidy was a step in that direction. As have been the efforts to spread financial inclusion by the opening of no-frill accounts. The whole effort got a further fillip in the Union Budget 2015. In keeping with recent practice, the Government has coined another acronym – JAM. This stands for Jan Dhan Yojana (the bank account effort), Aadhaar and Mobile, in some ways representing the confluence of money, identity and mobility. Currently, there are over 125 million new accounts opened under the Pradhan Mantri Jan Dhan Yojana (PMJDY). Also, Rupay (debit) cards have been issued to more than 100 million beneficiaries. Each of these card holders have also been given a personal accident insurance of Rs 100,000. Moreover, there is a life insurance cover of Rs 30,000. The bank accounts and the Aadhaar which helps in authentication for opening a bank account or for transactions subsequently are the key building blocks for financial identity. This was largely a theoretical proposition until two years ago but is now becoming hard and tangible reality. The Union Budget 2015 builds further on this. In effect it has outlined several schemes that create the demand and supply. The Budget spoke of a functional social security system for all Indians, especially the poor and the underprivileged. A defined pension scheme will have a 50% contribution to the beneficiaries’ premium from the Government, for five years, for new accounts opened before 31 December this year. There are several other schemes, including for health insurance, details of which are available in the Budget documents. The Union Budget 2015 also says it wants to increase the number of beneficiaries for Direct Benefit Transfer (DBT) from 10 million to 100 million. In a direct transfer, the subsidy that you are entitled to claim is transferred to your bank account while you pay market price for the product. The more the accounts, the more likely that subsidies will work more efficiently, at least better than before. Similarly, a social security scheme is as good as the bank account it is linked to and the mobility it offers. Also, a pension scheme or an insurance scheme is effective only if the payouts are easy to collect. The collective impact of the bank accounts which create the infrastructure and the schemes which create the supply will lead to greater demand for products or services that create true empowerment, via a financial identity. The dots are beginning to get connected now. The Government says it is not cutting back on subsidies but pushing harder to control leakages. It goes without saying that insisting on bank accounts – as experience has shown in many states – in a massive first step in plugging leakages. More than plugging leakages, the economically backward can draw the right benefits from the Government via subsidies, benefits or even dole. Nothing wrong in dole as long as it goes to the right people or at least most of it. The combination of an accessible pension and insurance or wages and subsidies as and whey they flow creates a far more empowered and secure individual. The opportunity to add more financial products and services is huge. The next step could be micro mutual fund investment plans for those who are more risk aligned. And finally, topping this all will be mobility, another constraint in the past.Provident fund accounts were linked to jobs and geographies and pensions were linked to state government departments or post offices. The citizen has always been tethered in the past. And deprived of the ability to build a more secure future. This is now changing. A layer of JAM over the bread should make life more appetising.